#NoSpendSeptember with @AnniesHomegrown - Say It, "Rah-shay"
Last summer I was very successful losing weight and saved some money by counting calories. I doubled down this year by joining Facebook group called “No Spend September” and decided that eating out would be how I focused my energy for the group. Annie’s Homegrown products have proven to be a way I can count my calories and watch my pennies without guilt and without feeling like I am missing out. You see, the weeks leading up to settlement for my new home found my family eating out for almost every meal. We reasoned that eating out was easier since we were packing and cleaning our old house and really, who wanted to be washing dishes and cleaning a kitchen in the midst of packing? (The answer, you ask, we were. Seriously, in spite of eating out we STILL had dishes and a kitchen to clean.) Anywho, we would eat a quick breakfast at home, mainly coffee for me and cereal for The Bee, and grab a quick meal from some of our favorite places as we headed home for the day. While very convenient, my waistline and wallet have paid the price. When we would hit our favorite spots, I would eat whatever because “Treat yo’self! ya dig”? And the whole plan of saving money…Ha! Eating out meant that we were spending more money for the convenience to have someone peep a meal for us. Sure, The Librarian offered to cook up dinner a few times but I’m an enabler and burritos are good and out we went. Now that we’re all moved in, it’s time to resume sensible eating and spending. 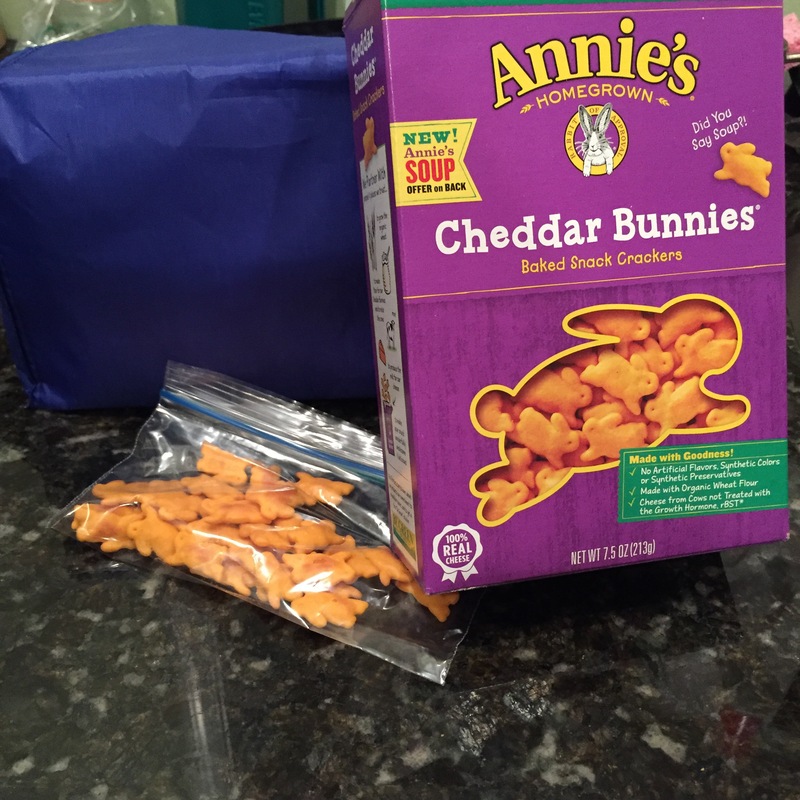 When the cravings are for salty and crunchy, I can reach for Annie’s Organic Cheddar Bunnies. These are light and crunchy and with a nice addition of a tasty cheesy flavor. Sure, these are made for younger kids but the kid in me approves. To be frank, I have often thought of organic foods for somebody not me. I admit that the food I eat is far often dictated by price and convenience over ingredients. 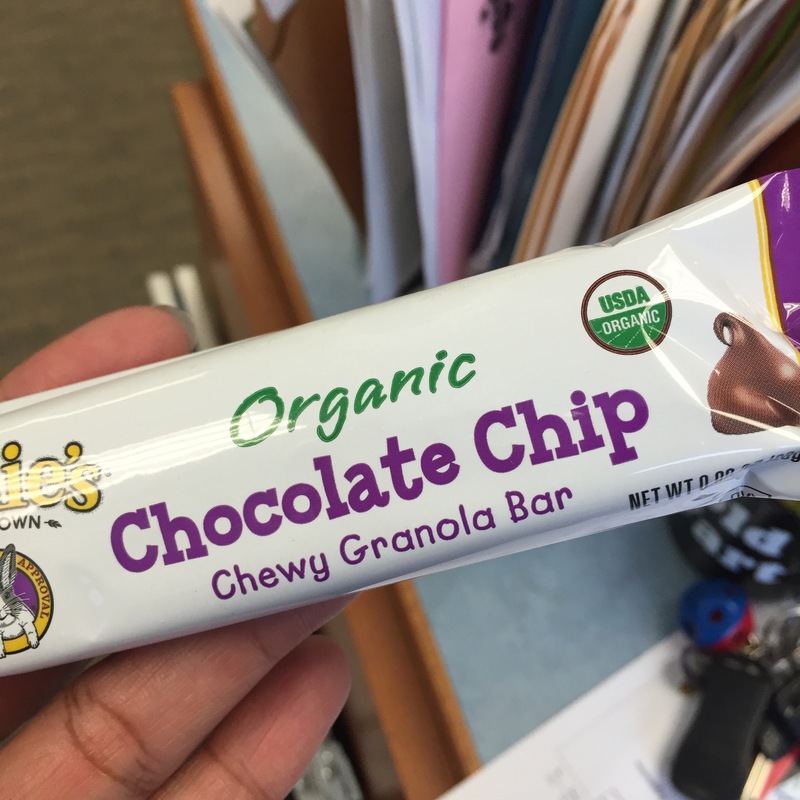 But nibbling on products created by co-founder Annie Withey makes me reconsider the grab and go nature that fuels my diet. Annie co-founded Annie’s Homegrown, Inc. with Andrew Martin in 1989 with the goal of giving families healthy and delicious macaroni and cheese and to show by example that a successful business can also be socially responsible. Nearly thirty years after its founding, the values that Annie started with still guide the company every day. Annie’s is a mission-driven business grounded in using natural and organic ingredients to make great-tasting products that consumers love. They source ingredients only from places and people they trust. And Annie’s works hard to act as a positive role model for consumers and other businesses. 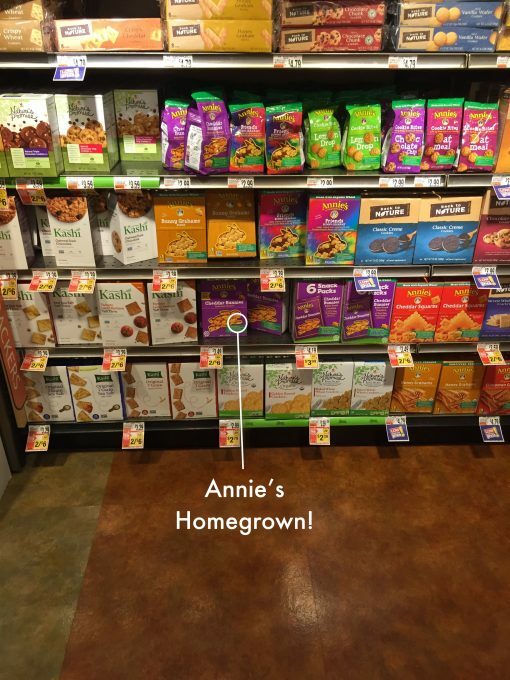 Locating Annie’s Homegrown products in my supermarket was really easy. 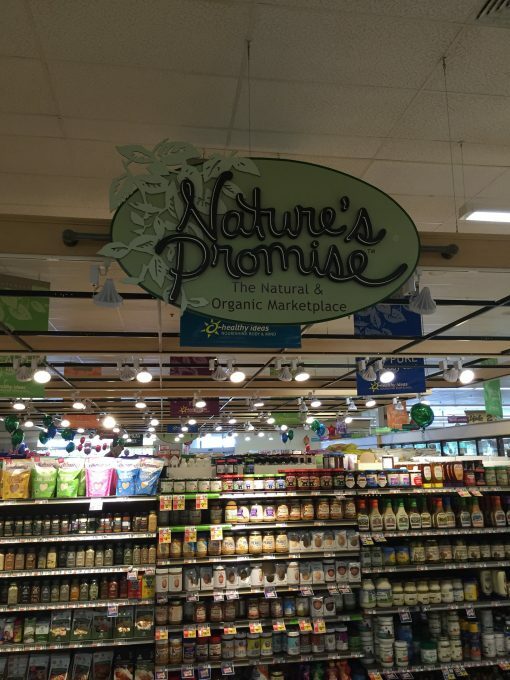 My supermarket has a natural and organic section called Nature’s Promise and there were scores of products available. The snacks were easy to locate. 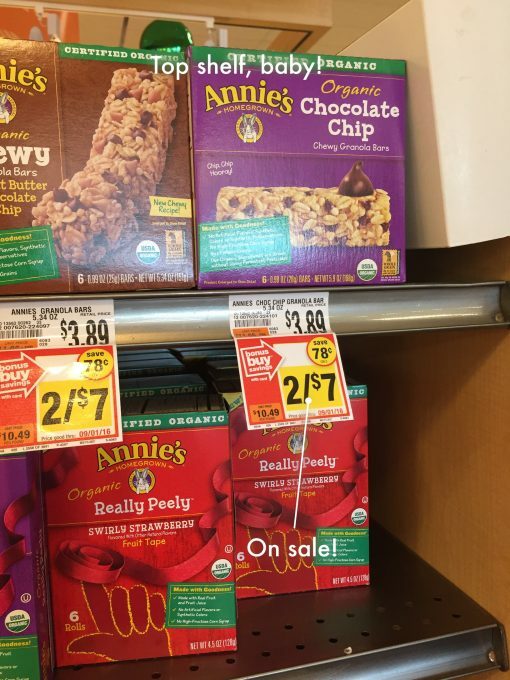 The granola bars were on the top shelf AND on sale! 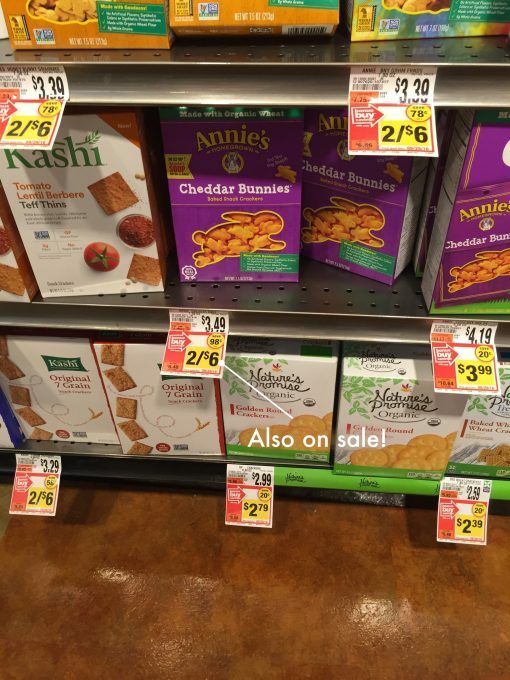 The Annie’s Organic Cheddar Bunnies were an aisle over surrounded by other Annie’s Homegrown snacks. They were also on sale! A quick trip to the register and I had my goodies on hand. These snacks are the start of a way to eat and a better outlook for my wallet and making my new home comfortable. If someone had told me that I should eat “organic” I would have scoffed and accused them of being extravagant. Knowing that Annie’s Homegrown has quality products that I can share with my family and feel good about the the ingredients lets me know that this product truly is for everyBUNNY. You don’t have to take my word for it. Annie’s Homegrown has an adorable video that features BUNNIES! Still not convinced? Check out these awesome lunch ideas from Annie’s Homegrown! You’ll be ready for your own No Spend challenge and your taste buds will thank you.